Bubblegum is a nicely balanced Hybrid strain, producing a cerebral sensation that's mixed with a gentle and relaxing body buzz. 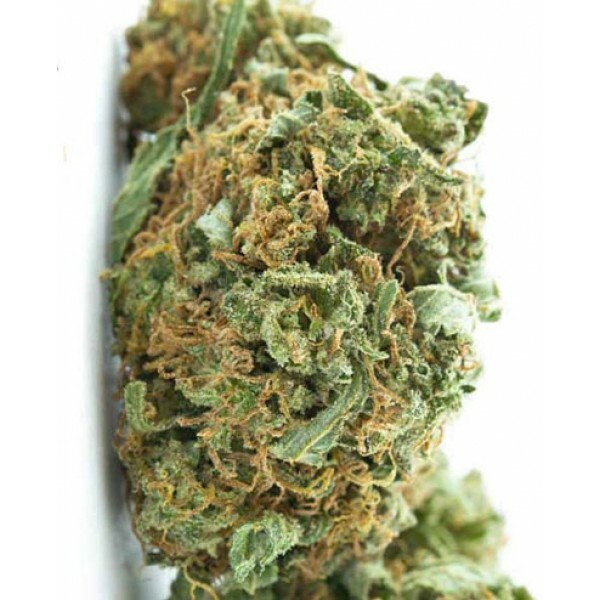 The Indica elements of this smoke cause a mild couch-lock and are calming, frequently bringing on the munchies. This strain may also aid with sleep when consumed at the right time. The Sativa facets of this high derived from Bubblegum invoke a mind high that is uplifting, thought-provoking and quite meditative. Bubblegum presents an intricate flavour as the smoke from a joint or bong rolls across the tongue. This feeling is defined by tones of bubblegum, fruit, spice, bitterness and earthiness. The odour released when burning Bubblegum is also multilayered, featuring scents of spearmint, basil, thyme, grapefruit, strawberry, nectar and flowers. This combination of smell and taste make BubbleGum a fantastic choice for the cannabis connoisseur, those that appreciate every aspect of a strain when becoming high. Bubblegum is a nicely balanced Hybrid strain, producing a cerebral sensation that's mixed with a gentle and relaxing body buzz. The Indica elements of this smoke cause a mild couch-lock and are calming, frequently bringing on the munchies. This strain may also aid with sleep when consumed at the right time. The Sativa facets of this high derived from Bubblegum invoke a mind high that is uplifting, thought-provoking and quite meditative. Bubblegum presents an intricate flavour as the smoke from a joint or bong rolls across the tongue. This feeling is defined by tones of bubblegum, fruit, spice, bitterness and earthiness. The odour released when burning Bubblegum is also multilayered, featuring scents of spearmint, basil, thyme, grapefruit, strawberry, nectar and flowers. This combination of smell and taste make BubbleGum a fantastic choice for the cannabis connoisseur, those that appreciate every aspect of a strain when becoming high.